If kale could cruise the Mediterranean, it wouldn't just kick back, relax and take in the view. 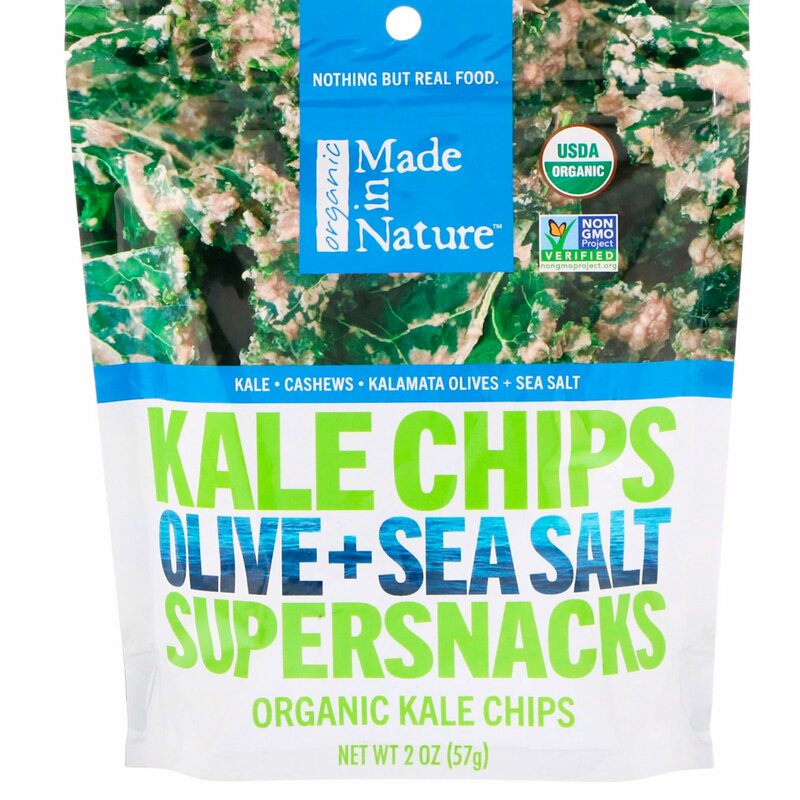 It would go full-on flavor crazy and load its leaves with real kalamata olives and crystals of savory sea salt. You know, like the flood of organic goodness gracing every crinkle, edge and corner of these Olive + Sea Salt Kale Chips. Each one is a veritable deluge of deliciousness and natural nutritiousness that puts artificial snacks to shame. 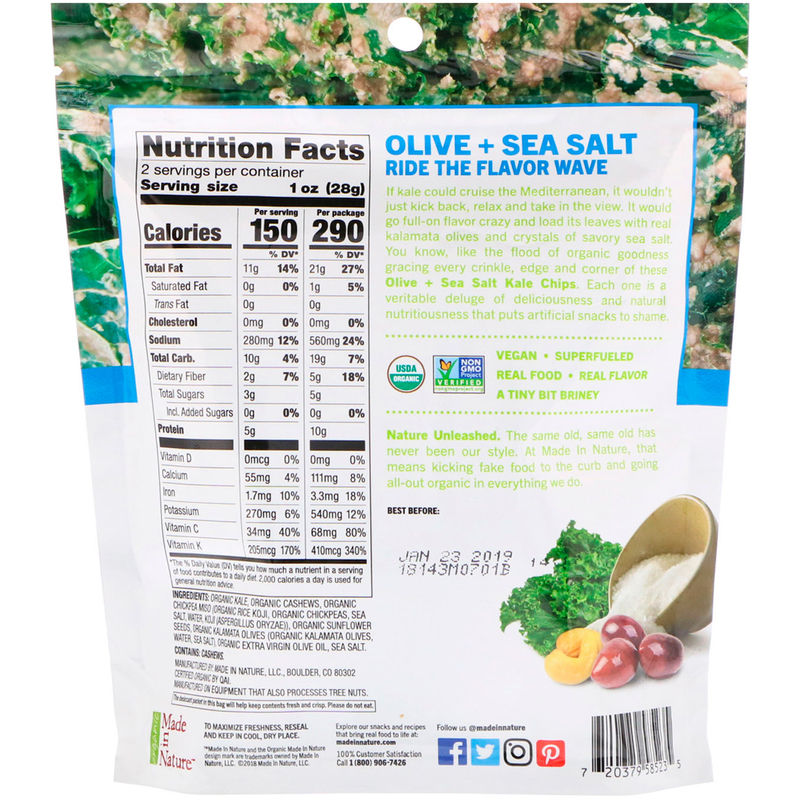 Organic kale, organic cashews, organic chickpea miso (organic rice koji, organic chickpeas, sea salt, water, koji (aspergillus oryzae)), organic sunflower seeds, organic kalamata olives (organic kalamata olives, water, sea salt), organic extra virgin olive oil, sea salt.